Ubisecure used the November, Think Digital Identity for Government conference to launch their campaign to the UK public sector. Ubisecure is an extremely successful identity supplier that has the incredible record of having touch points with every adult in their home country of Finland across their various public and private sector offerings. Whilst continuing to expand across Europe, the company decided that 2019 was the year that they would begin to heavily focus on the UK market and that the conference at the end of last year was the perfect launchpad for them. Company CMO, Steve Waite said of the conference “Think Digital Identity for Government gave Ubisecure the perfect platform to meet and discuss digital identity initiatives with a wide range of stakeholders – from Government departments to innovators from the private sector keen to further the UK’s digital identity evolution. As a long time provider of digital identity solutions to the Nordics, the event has already become an essential part of how Ubisecure tells our story as we expand our presence across Europe.” We also had really great feedback from our public sector delegates at the November conference and you can read more of their comments here. Ubisecure have been joined by a number of other leading Identity suppliers as sponsors and we will be announcing these companies in the coming days. 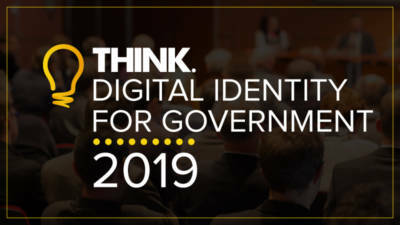 We do still have a few opportunities available for companies involved in digital identity and targeting the public sector so please email conference producer Matt Stanley on matt.stanley@thinkdigitalpartners.com for more details. Sponsor benefits (depending upon the chosen package) include potential speaking positions on the day, stand space, branding, networking, meeting arrangement, digital promotions and content creation. The conference itself is being held on June 7th at One Great George Street, Westminster, London. We have a launch agenda in place which you can see by visiting the conference website and are in the process of recruiting the best speakers and contributors from across the public sector and Identity marketplace.